Kingstonian Football Club is now working together with Kingston Carers' Network (KCN) as "Community Partners". A "carer" is someone of any age who provides unpaid support to family or friends who could not manage without this help. A young carer is a carer under the age of 18. Kingston Carers' Network (KCN) provide information and advice and a wide range of support to carers and young carers and are affiliated to the Carers Trust. The football club and "Carers Centre" are working together to raise awareness of the needs of carers and young carers in and around the Royal Borough of Kingston-upon-Thames. KCN are supporting more than 3,000 adult carers and over 700 young carers in Kingston through a wide range of services. Last year they enabled 657 Young Carers to have 3,384 sessions where they had time out from caring. These were provided through several hundred activities which included our Young Carers Days. All young carers "Kids for Free" under 18 season tickets. An annual Young Carers Day at a home match. 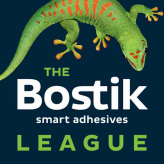 The first was held at a match on 18th March 2017 against Billericay Town as our first joint event. 11 Young Carers from KCN were match mascots. The match was also attended by the Borough's Mayor and dozens of Kingstonian youth team and women's team members. Further young carers days have subsequently been held at Fetcham Grove and King George's Arena. Concessionary entrance has been offered for adult carers so parents who are carers and other adult carers can come too. The Kingstonian website now has a link to the Kingston Carers' Network as their Community Partners. The young carers service will be highlighted to youth team members (there are currently teams ranging from under 8s to under 18s) as the club wish to make sure that any youth team members who are young carers are aware of the support that is available. KCN have been promoting the partnership to carers via their website, newsletters and Twitter account, and advertised the Young Carers Day. A special membership card has been created for adult carers who wish to claim concessionary admission. KCN have to fundraise to be able to provide much of this work and K's fans have so far raised just over £1,700 for additional activities for Young Carers. This was raised through match day collections, a Supporters' Club sponsored walk and donations in memory of K's President and club legend John McCormack. The Club has also placed a full page advert in the "Raring2Go" magazine that goes to all pupils in Kingston schools. This was advertising the work of KCN in local schools and also our free Under-18 season tickets that are available for all Young Carers. Research undertaken for the BBC suggests that there are on average at least two young carers in ever class and yet most of them have yet to be identified. This is why Kingstonian, the Supporters Club and Kingstonian Youth have been trying to raise awareness of young carers within the community. The KCN offices are on Tolworth Broadway, so they are a really local partner for our club and our partnership has particularly focused on supporting Young Carers. Fans will have seen that the KCN logo appears on Kingstonian's shorts and on the back of this season's shirts, sponsored in their name as our local charity partners. 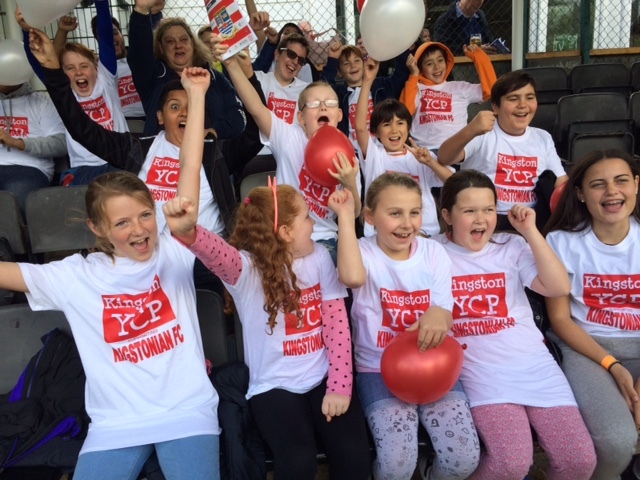 Quite a few clubs are beginning to take up the Young Carers support initiative started at Kingstonian. 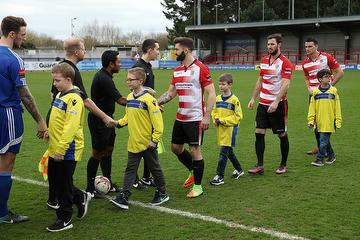 In October 2018, Woking FC welcomed a group of young carer mascots from the Surrey Young Carers. Former K's legend Geoff Chapple took part in a photo shoot with young carers, an event that was also supported by the Mayor of Woking. Following on from successful Young Carers days at both Kingstonian and Woking, Aldershot Town FC have now agreed to hold their own young carers day involving their local Young Carers service. Elsewhere, a number of professional clubs have started offering free coaching sessions to young carers. Last season, Crystal Palace started doing this and we understand Sunderland and Peterborough United are amongst the clubs now taking up this idea. If you are a carer living or working in the Royal Borough of Kingston-upon-Thames, we can help you with a wide range of support services. There are similar Carers' organisations in all neighbouring areas, so if you or your family are affected by a caring situation, please do ask about the help available where you live. For more details, please contact Kingston Carers Network by e-mail (info@kingstoncarers.org.uk) or by phone on 020 3031 2757.